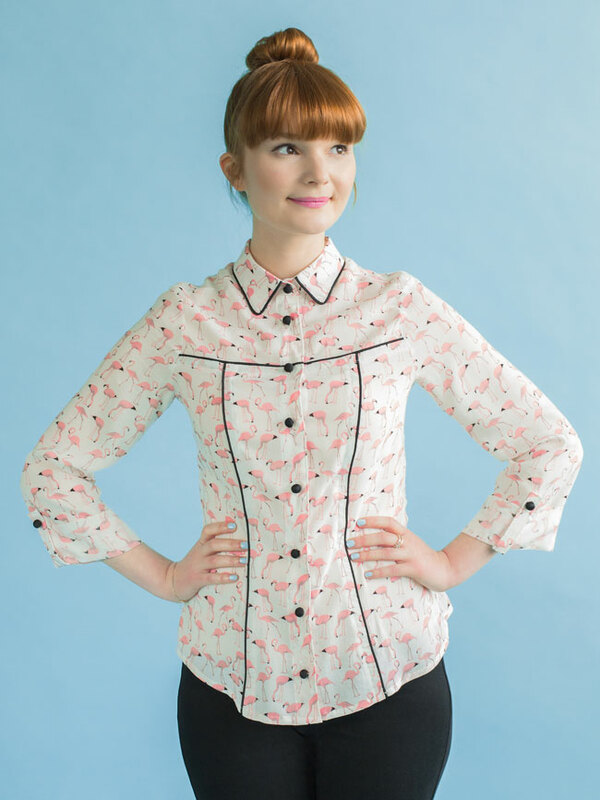 Tilly and the Buttons: New Sewing Pattern... and Online Workshop! 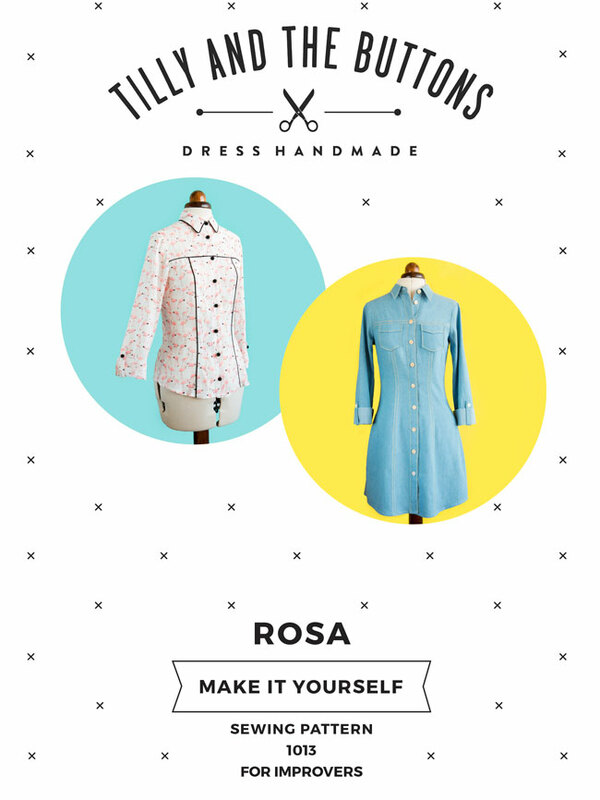 I am so excited to finally introduce you to our latest crush - the Rosa sewing pattern! 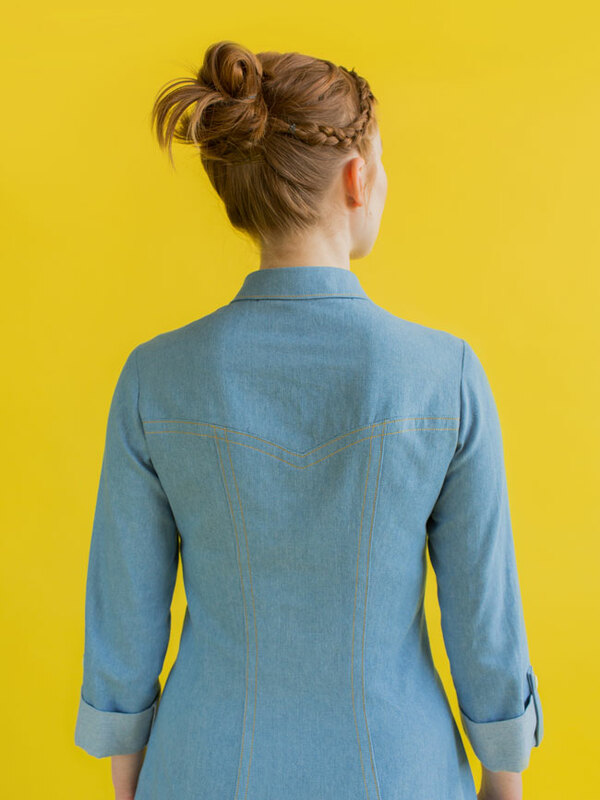 Even more exciting, we've made a brand new online workshop to go with it - Sew Your Own Shirt or Shirt Dress. I really wanted to make a shirt that had some shaping to it, rather than a flat front. At the same time I was dreaming of a casual shirt dress, with sleeves, that wasn't too tight on the waist because, you know, lunch. 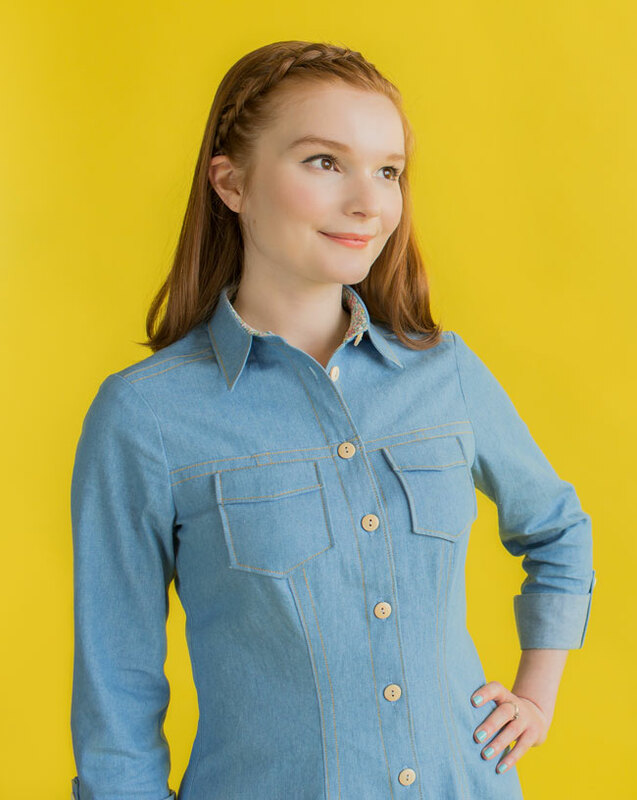 Plus it's no secret that I love seventies style denim, and I've become particularly obsessed with denim shirt dresses recently, particularly those with interesting seams and contrast topstitching. As much as I love easy-peasy speedy sewing projects, sometimes I want to get stuck into a more complex project - Rosa is definitely one of those. It's a treat for confident stitchers and those who want to take their sewing to the next level. These are all really useful techniques to have in your sewing armoury, and will set you up to make lots more projects in the future. By signing up for the workshop, you'll be able to access a structured sewing course on a dedicated website. The workshop is taught mainly through bitesize video lessons (just the good stuff, not the boring bits! ), supported by extra written tuition and downloadable course materials. Plus you'll get the Rosa sewing pattern included - choose from a print-at-home download or a printed pattern sent to you in the post. It's just like taking a sewing class... but unlike a regular sewing class, you can take it whenever it suits you, at your own pace, however many times you like, from your own home, wherever you live, in your PJs if you like! It's a great way to fit learning and creativity around the rest of your life. No problem. 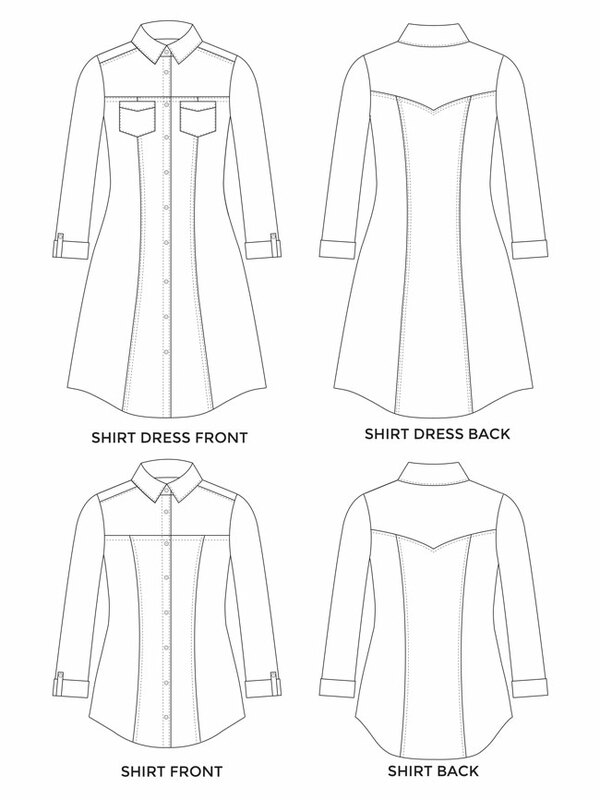 The instructions take you through the steps, with colour photos showing what your shirt or shirt dress should look like on your sewing table at each stage of the make. Order a printed pattern and we'll send you a gorgeous package in the post, printed on proper paper (not scrunchy, flyaway tissue). Prefer to print and assemble your patterns at home? Order the digital version and you'll get an email with your pattern to download instantly. Rosa is also available from lots of fabric shops around the world. If your favourite shop doesn't stock it, ask them to order it! You can make it in a wide range of medium- and light-weight woven fabrics - cotton lawn, chambray, lighter weight denim, linen blends, shirting cotton, viscose (rayon), double gauze, even fine needlecord. Take a look at the pattern page to find out how much fabric you need. For the dress, we used a light denim from Fabrics Galore, with a contrast floral Liberty lawn on the inner collar stand and facing. 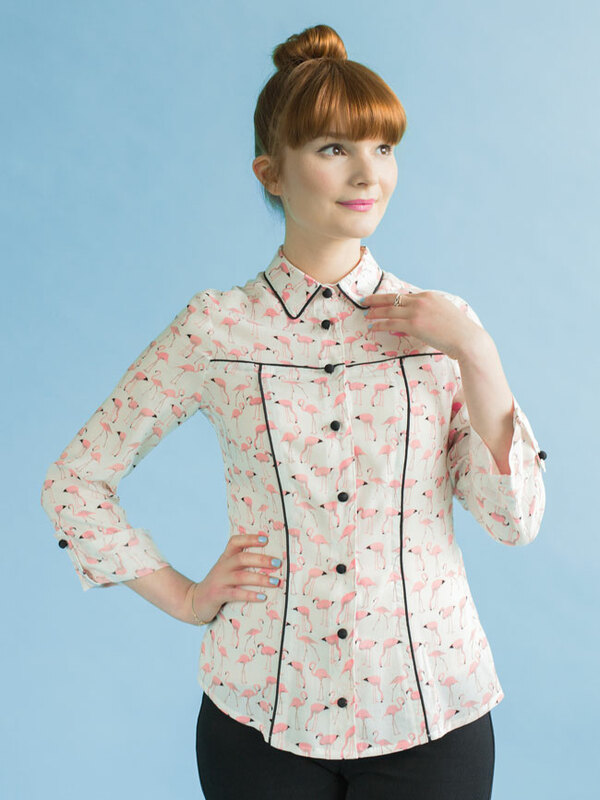 Our sample shirt was made in a floaty flamingo viscose from Dragonfly Fabrics (now sold out, sorry). We'll talk more about fabrics soon - I've been having way too much fun imaginary fabric shopping for you! I hope you love Rosa as much as we do. It will look so lovely in so many different fabrics. 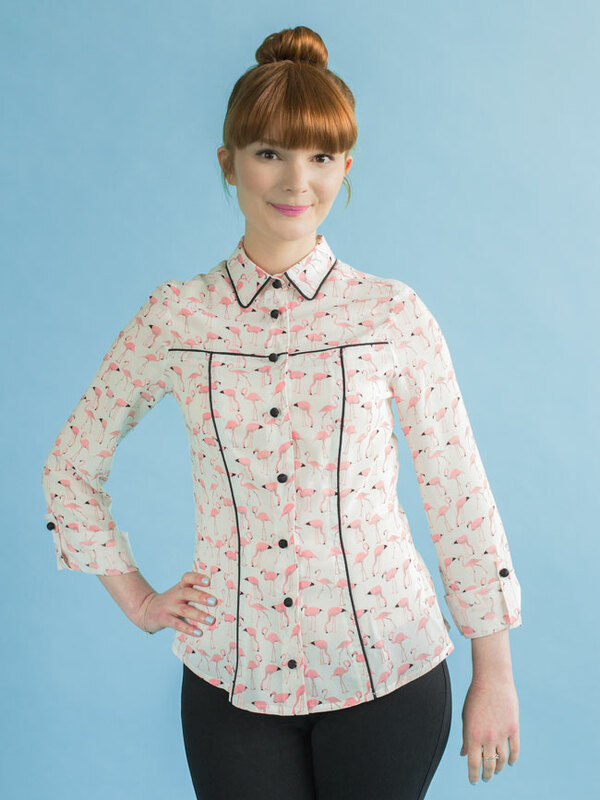 I can't wait to see your creations - please share them with us on Instagram @TillyButtons using the hashtag #SewingRosa so we can all admire what you've made!